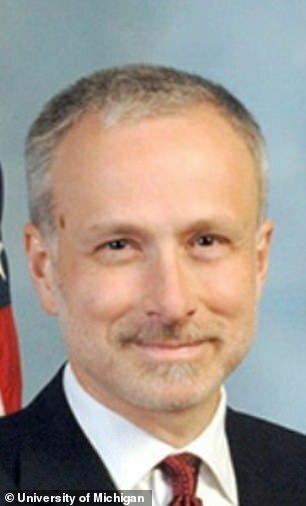 James Baker, the former general counsel for the FBI, told Congress that he thought Hillary Clinton should have been prosecuted until 'pretty late' in the Department of Justice's investigation. Baker told Congress, according to Fox News, that Clinton's team should have known that as secretary of state she'd be receiving and sending 'highly classified' information over email and needed to be using a secure network. In closed-door testimony he told lawmakers that DOJ officials had internal arguments about whether to bring charges against Clinton. 'We were arguing about it, I think, up until the end,' he said, according to a transcript of the testimony obtained by Fox. Baker said that her personally found her behavior to be 'alarming' and 'appalling' but other high-level officials were convinced that she did not have 'knowledge or criminal intent' when she used a secret server and personal email to conduct government business. Leaked government memos show that former FBI director James Comey, at least, had decided months before speaking to Clinton that she was not likely to be prosecuted.